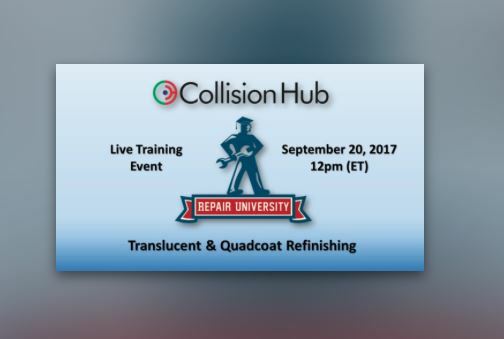 Collision Hub is about to release its latest Repair University episode and it is ideal for refinishers focussing on Translucent & Quadcoat Refinish techniques. You can access the programme by directing your browser to: www.collisionhub.com/repairulive/. SignUp to access the password for September, free of charge and start watching from late Wednesday 20 September. If you are in the collision repair game, give us some feedback and let us know if it helped you and your workshop!